Hours after deferring their no-fly call, Jet Airways' pilots Monday asked Prime Minister Narendra Modi to help save 20,000 jobs. 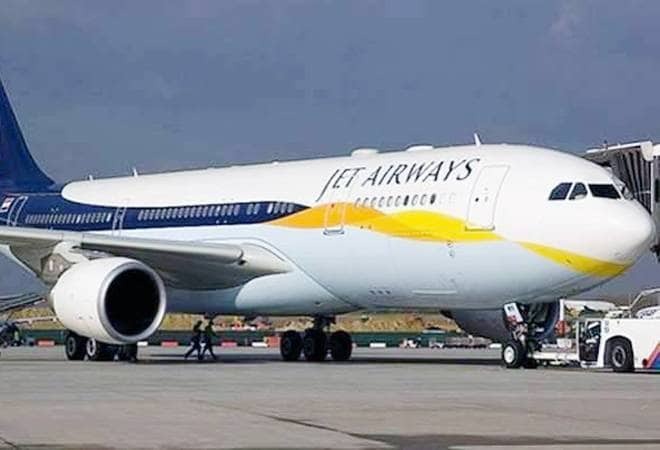 Hours after deferring their no-fly call, Jet Airways' pilots Monday appealed to the State Bank of India (SBI) to release Rs 1,500 crore proposed to be infused in the beleaguered airline as a part of its debt-restructuring plan last month. The National Aviator's Guild (NAG), Jet's pilots body, also asked Prime Minister Narendra Modi to help save 20,000 jobs. "We would like to appeal SBI to release Rs 1,500 crore funds for the airline to help it continue operations. We also appeal Prime Minister Narendra Modi to save 20,000 odd jobs at the airline," NAG's vice president Adim Valiani told reporters at the airline's headquarter, Siroya Centre, in Mumbai. Jet Airways at present is operating only 6-7 planes as its almost entire fleet is grounded owing to severe paucity of cash. The airline's pilots, engineers and cabin crew assembled at the airline's headquarters earlier in the day in their show of solidarity towards saving Jet. The airline's staff was last paid for December 2018. NAG Sunday deferred its "no flying" call to a later date, particularly when the management is scheduled to meet the lenders on Monday. The Guild, which has around 1,100 pilots as its members, had decided to stop flying from April 15 in protest against non-payment of salaries since March. "It has come to our notice that there is a critical meeting planned tomorrow (Monday) morning with the airline management and SBI. In light of the meeting, the members have requested, through their team leaders, that the call of 'No Pay No Work' be deferred to give the airline a chance of survival. Accordingly, as requested, the Committee would like to inform all that the decision stands deferred for the time being," the Guild committee said in a late evening communication to its members. An SBI-led consortium of lenders had taken the management control of Jet last month post a debt-recast deal, under which the lenders had proposed to infuse Rs 1,500 crore in the ailing carrier in their bid to keep it afloat till it gets an investor.